After the BBC censored the popular Christmas song Fairytale of New York they again under orders of the British Government censored they again censored another song by the Pogues - Streets of Sorrow / Birmingham Six.That was some time ago and the British have again ordered the censorship of articles and material related to them in Indymedia Ireland and worldwide.with the following video and article again X-Rated and censored. Your help to uncensor them would be appreciated by re-tweeting, re-posting and re-sharing the material below. See The Pogues Video - Top 10 X-Rated: Birmingham Six, link below. Official Secrets Act, Secret Services, secret evidence, secret witnesses, secret prosecutions and now secret courts. We are as sick as our secrets as a society and Britain is now legislating all of its secret experiments in British Occupied Ireland into law, in England itself, with secret political internment without trial now becoming the norm. What chance tortured, perverted injustices, such as the convictions of the Birmingham six or Guildford four, which took years of painful campaigning to overturn, being corrected in secret courts? See The Pogues Vidoe - Top 10 X-Rated: Birmingham Six below. Official Secrets Act, Secret Services, secret evidence, secret witnesses, secret prosecutions and now secret courts. We are as sick as our secrets as a society and Britain is now legislating all of its secret experiments in British Occupied Ireland into law, in England itself, with secret political internment without trial now becoming the norm. What chance tortured, perverted injustices, such as the convictions of the Birmingham six or Guildford four, which took years of painful campaigning to overturn, being corrected in secret courts? The United Nations' special rapporteur on torture, Professor Juan Méndez, intervened in the UK debate on secret courts, where MI5 have shredded royal pardons and now prosecute secret evidence, against political dissident such as Marian Price, with a warning that wrong doing by security intelligence agencies if undisclosed, will not be confronted. "If a country is in possession of information about human rights abuses, but isn't in a position to mention them, it hampers the ability to deal effectively with torture," he told an audience at Chatham House in London. The fact that the government has applied for the use of closed material procedure in a court cases, from which the defendant is kept secret, enables unaccountable secret service behavior of the worst kind that includes torture. 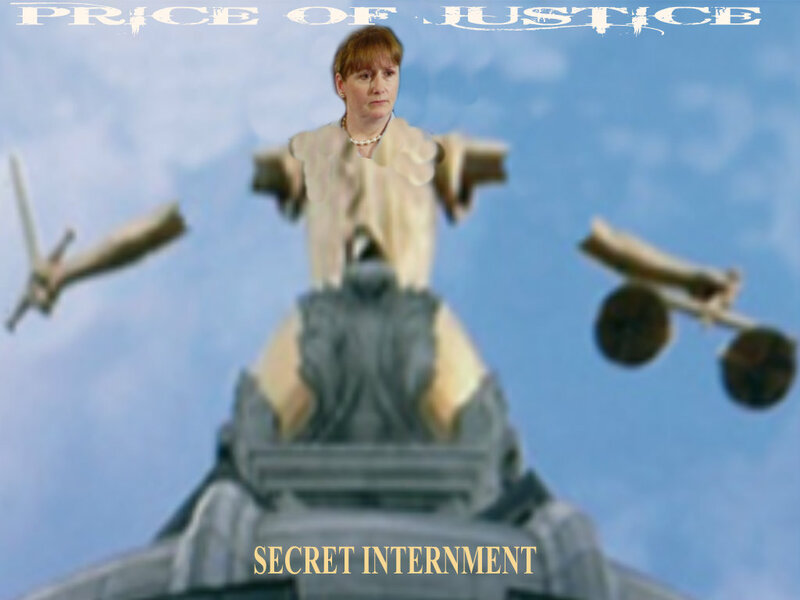 Meanwhile the politically interned Marian Price, has already been kept in the dark for over 18 months about her status, with secret trials which have already taken place, in the sectarian police statelet of British Occupied Ireland, where secret courts and internment without trial, cover for the ineptness of British secret service agencies there. The British occupied statelet, created on a sectarian headcount and maintained in an undemocratic, unaccountable society, now with even further proposed draconian legislation, intend to offer even greater protection, for "bad" intelligence, with ever increasing use by the British Government of dubious and illegal UAV technology, which relies heavily on intelligence information to be effective, being just a matter of time, before the use of secret trials is included to liquidate Irish political activists, with British drones flying over all of Ireland. The internment of political prisoners along with the use of "closed material procedures" (CMPs), enables the secret services to introduce sensitive information in secret trials, that can only be seen by a judge or secret service cleared "specially appointed state advocates" to supposedly represent the interests of an interned political activist. The special advocate will not give their Irish client, precise details of the evidence against them and will only provide a "gist" or loose summary of it.. Like Marian Price, internees will not be made aware of all allegations being made, without equal footing, the advantage firmly in the repressive regime's favour, taking Irish people back to the 17th Century, when British trials behind closed doors were used to silence Irish opponents, of the occupying British, ruling elite. If defendants like Marian Price cannot know the details of the case against her, how can she or her lawyers challenge it? The most obvious example being the defence of alibi, that she was not in a certain place at certain times not specified by the prosecution. If she cannot know the place and time at which the secret services allege she was doing whatever it is they are accusing her of, how can the 'special advocate' get evidence to the contrary ? The so called 'security vetting' of the special advocates is done by the the prosecutors with the power to eliminate effective defence and wide open to abuse 'ensuring that they are inclined to believe everything they are told by the secret services'. But then if you are Irish and you don't trust the occupying secret services, then you too are most definitely a candidate, for Internment without proper trial in British Occupied Ireland too, aren't you ? This denial of public justice in favour of a select, and well connected, secret few bigoted English Tories or sectarian orangemen, determining what information the native Irish should have access to, in secret judicial proceedings, that can throw away the key to freedom for life? A great many cases against the British government arising from the troubles in British Occupied Ireland, are currently being prepared by lawyers in the sectarian scum state, while the British unable to be sure how many claims, it could face in the future as a result of the ongoing conflict. With a host of security scandals unearthed, including allegations of torture of political prisoners such as Marian Price, meant to be hidden in closed material procedures. Even fundamental personal right,s such as freedom from imprisonment, guaranteed by the ancient writ of habeas corpus now routinely ignored and trampled on daily. Marian Price is currently close to death in a Belfast hospital, with extremely serious health issues, as a result of British torture, while she was kept in solitary confinement. Even Lord Kerr a leading figure of the British establishment asserted: "Evidence which has been insulated from challenge may positively mislead … the right to know the case that one's opponent makes and to have the opportunity to challenge it occupies … a central place in the concept of a fair trial." The internment of Marian Price, Gerry McGeough and Martin Corey have had an adverse impact on the peace process, with the Nationalist community always having regarded political internment, as act of war by the Tory vice royals in Ireland. There many indicators of a return to war in the occupied six counties. • Secret injustice by MI5 or MI6 cannot constitute a fair trial and certainly destroy any public confidence in the almost defunct peace process. 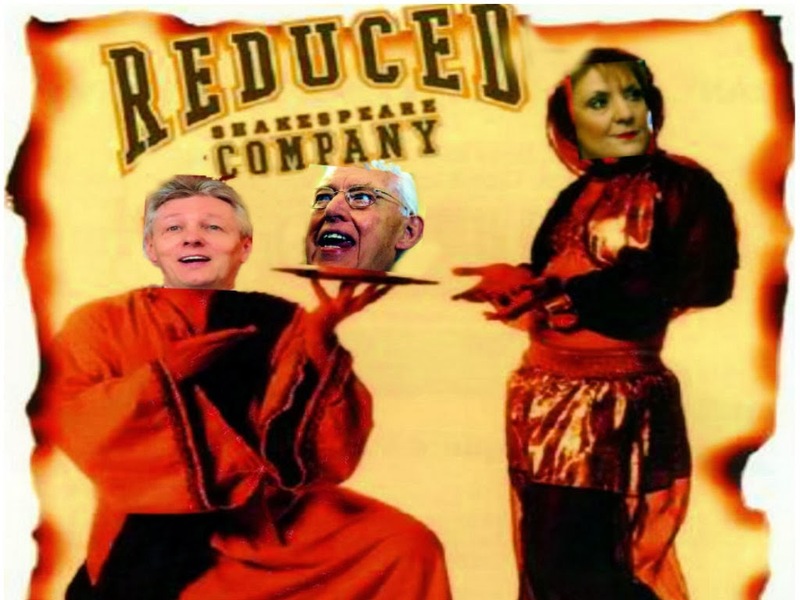 • Judges, not politicians, should decide these issues, having twice dismissed the case against Marian already, the British overruling their own judiciary, still intern her under the guise of resurrecting the very same charges, dismissed in court already. The status of an open justice principle is the basis to all International common law fundamentals and an important human rights obligation. Without doubt the current British experiments with internment and secret courts in Occupied Ireland, condemns Britain once again to pariah state status, having been found guilty already in the European Court of Human Right in Strasbourg, with torture in Ireland of political internees.The British point the finger of human rights around the world to camouflage their flagrant abuse and disdain for international standards of human rights. Legislation, introduced currently by the back door in the House of Lords rather than the normal House of Commoners, is overturning long-established, common law precedents about fair and open justice. So called "closed material procedures" (CMPs) take it another stage further, enabling unaccountable secret services to dictate word to the judge via the secretary of state offices and sometimes to already secret service, compromised judges for British Occupied Ireland, with the judge only allowed to make a decision, if the British Vice royal makes an application. The judge will not weigh up the relative merits of a CMP or decide what the fairest way would be to decide the case. The judge's hands are effectively tied. Secret justice cannot constitute a fair trial and will furthershake the already damaged public confidence.The open justice principle has been absent for may years, in the many political trials of British Occupied Ireland guaranteeing that the peace process will not work with such baltant injustice. The joint committee on human rights describe this silence as "a serious omission". Even the British government's own impact assessment concede the secret courts undermine public confidence in the judicial system and essentially destroying the peace process in Ireland, permanently."